After her start in Baltimore, Waters toured on the black vaudeville circuit. As she described it later, “I used to work from nine until unconscious.” Despite her early success, she fell on hard times and joined a carnival, traveling in freight cars along the carnival circuit and eventually reaching Chicago. Around 1919, Waters moved to Harlem and there became a celebrity performer in the Harlem Renaissance of the 1920s. In 1921, women blues singers were among the most powerful entertainers in the country and Waters became the fifth black woman to make a record, on the tiny Cardinal Records label. 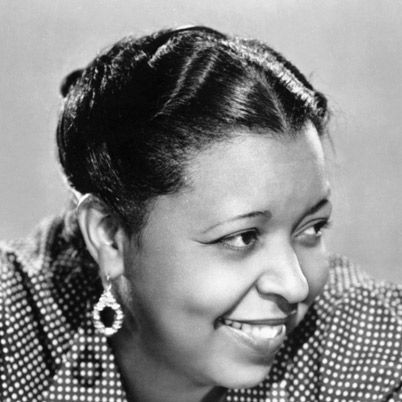 As her career continued, she evolved into a blues and Broadway singer, performing with artists such as Duke Ellington and starring at the Cotton Club. Ms. Waters was the highest-paid performer on Broadway starring as Petunia in the all-black musical Cabin in the Sky. In 1942 Ms. Waters reprised her stage role of 1940 in the film, directed by Vincente Minnelli; it was a huge success. Adding to her list of accomplishments, Ms. Waters was nominated for an Academy Award for Best Supporting Actress for the controversial film “Pinky“ (1949) about a light-skinned black woman passing for white; directed by Elia Kazan. In 1950, she won the New York Drama Critics Circle Award for her performance opposite Julie Harris in the play The Member of the Wedding. Waters and Harris reprised their roles in the 1952 film version, Member of the Wedding. Despite her earlier successes, by the 1950’s Ms. Waters remarkable career was fading. As her health suffered, she worked only sporadically. 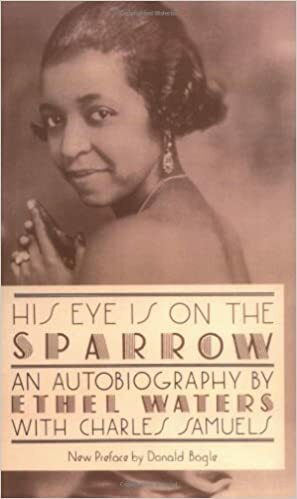 In 1950–51 she wrote her autobiography His Eye Is on the Sparrow with Charles Samuels, in which she wrote candidly about her life. His Eye Is on the Sparrow was adapted for a stage production in which she was portrayed by Ernestine Jackson. Her second autobiography was titled – To Me, It’s Wonderful.